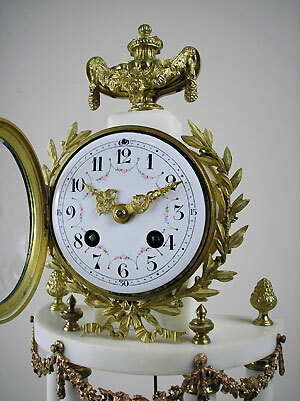 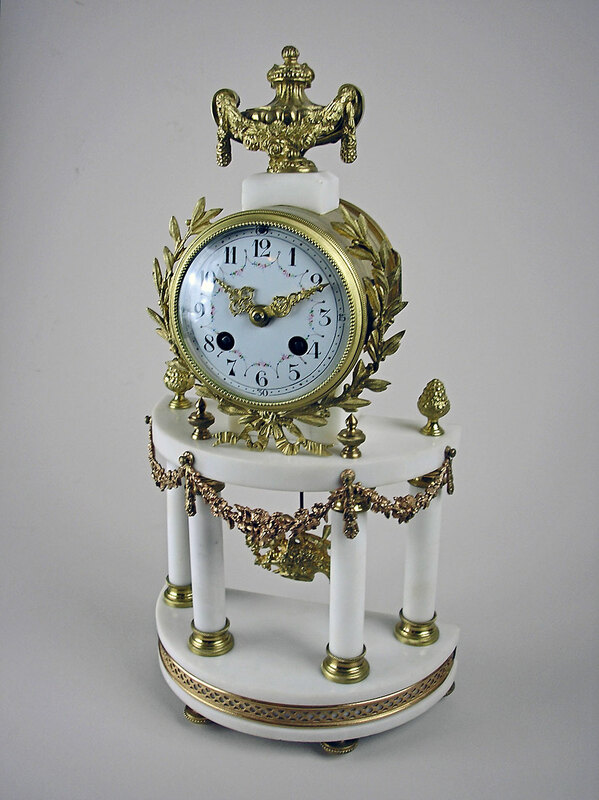 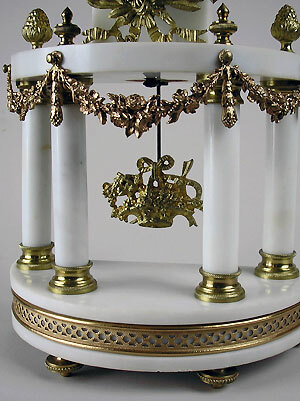 This is a white marble and ormolu mounted mantel clock by Japy Freres of France. The clock has an Arabic porcelain dial with painted flowers and pierced hands. 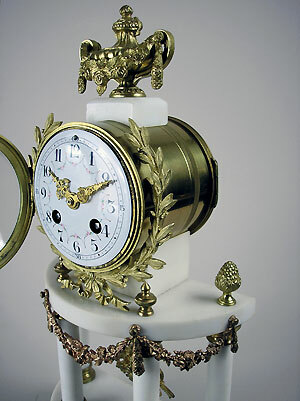 The eight-day movement has a counterwheel strike on a bell.